Posted in Accessories on February 21st, 2012. No Comments. I stumbled upon the following image on flickr. It was shot using Nikon D800E by Milan Josipovic. A full size tiff version can be downloaded from Milan’s blog. Nikon D800E studio portrait. Edited in Nikon Capture NX 2. Posted in Digital SLR Cameras on February 17th, 2012. No Comments. Posted in Digital SLR Cameras, Tips and Techniques on February 17th, 2012. No Comments. On the other hand, Nikon Rumors got a shipping date of March 22, 2012 for Nikon D800 and April 12, 2012 for Nikon D800E. [Update]: After switching the shipping method on the Amazon pre-order to one day shipping, the estimate delivery date chanted to March 21, 2012. However someone who pre-ordered the D800E also got an estimated shipping date of the same, which is not true according to Nikon’s official statements on the availability. Most likely Amazon has some issues with their pre-order system and this is not a true indication of Nikon D800’s popularity. It is better to stay put in the queue than go to the end of the queue at other retailers. Posted in Digital SLR Cameras on February 14th, 2012. No Comments. Posted in Digital SLR Cameras on February 11th, 2012. 6 Comments. Posted in Digital SLR Cameras on February 9th, 2012. 1 Comment. If you are interested in Nikon D800 NEF raw images taken at high ISO, you can find them here. The files can be opened and edited using Nikon Capture NX 2.3. The noise level at ISO as high as 6400 is stunningly low. The noises are definitely there if you zoom in but for practical purposes, they are very good. 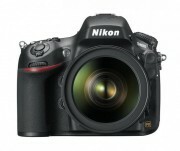 [update: February 11, 2012]: Check out ISO 6400 samples from Nikon D800. Posted in Digital SLR Cameras on February 9th, 2012. No Comments. Are you worried that Nikon D800, with its massive 36.3 mega sensor pixel count, may be a bad camera for high ISO noise? Well, it is really a subjective matter. For people who pixel-peeps at 100%, it is easy to find noise even at ISO 100. For all the normal people who take photos to view at a reasonable magnification, the definition of noise-free can be quite relaxed. With all that said, why don’t you check out some Nikon D800 high ISO samples and make up your own mind? Posted in Digital SLR Cameras on February 8th, 2012. No Comments.